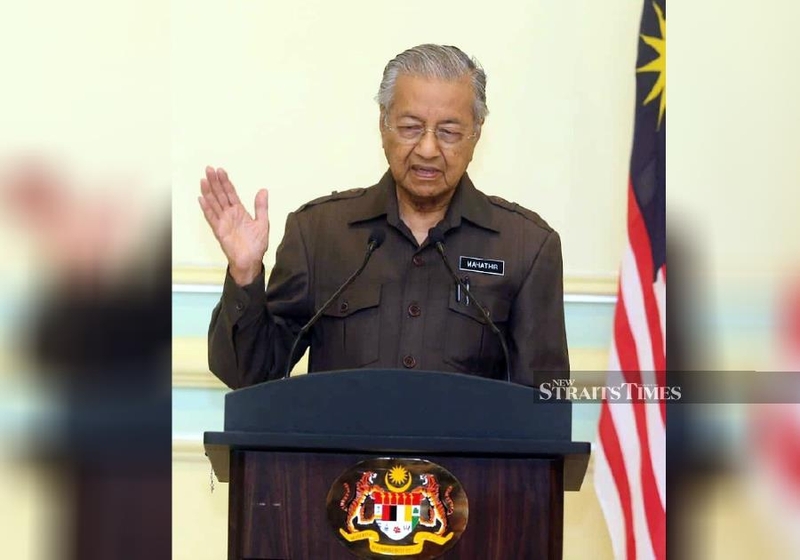 KUALA LUMPUR: Malaysia would have faced a US$5.3 billion (RM21.78 billion) penalty if a China-backed rail project was axed entirely, Malaysian Prime Minister Tun Dr Mahathir Mohamad said Monday, after a deal was reached to revive the controversial scheme. The 640-kilometre East Coast Rail Link (ECRL) will run from northern Malaysia, near the Thai border, to a port outside Kuala Lumpur, and is seen as a key project in China’s Belt and Road infrastructure drive. Announcing further details Monday, Mahathir said that the government “was faced with the choice to either renegotiate or pay termination costs of about 21.78 billion ringgit, with nothing to show for it. He also announced the main Chinese company in the scheme, China Communications Construction Company (CCCC), had agreed to help with operation and maintenance of the line, which would ease the financial burden on Malaysia. Under the new agreement announced last week, the project cost has been reduced to RM44 billion. Malaysia will still need to take a loan from a Chinese state-owned bank to fund the line, but it will be less than under the original deal.